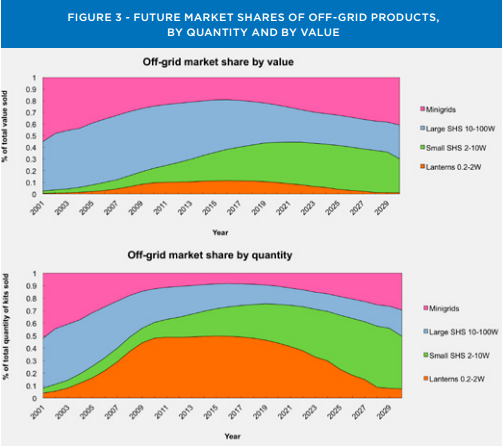 Are Mini-Grids The Next Big Opportunity Beyond The Grid? Beyond the grid solar start-up Devergy believes the time has come for the next evolution in clean energy access markets: mini-grids. 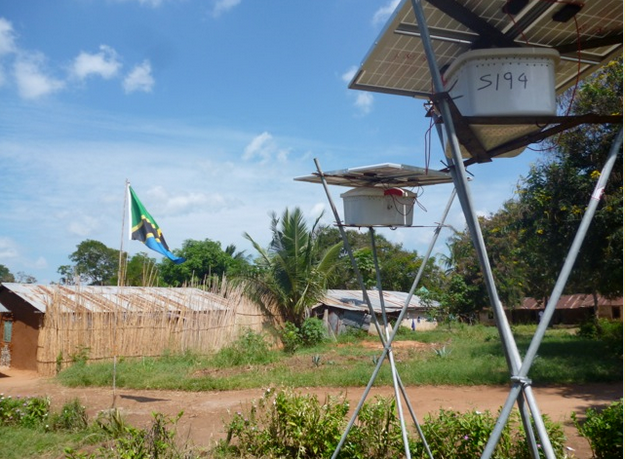 The mini-grid systems Devergy deploys are essentially many solar home systems connected to a battery back-up and charge controllers distributed to individual homes throughout a village. Each of those individual units are connected to the system via old fashioned wires as well as smart, Devergy-developed machine-to-machine (M2M) technology which allows Devergy to balance the energy load, remotely monitor usage and outages, and, most importantly, collect lots and lots of really useful data. With a highly conservative estimate of a $5 billion market opportunity and the $1 billion Beyond the Grid Power Africa Initiative launched earlier this summer, many investors have waited with baited breath to see if mini-grid operators like Devergy will succeed. Meanwhile exciting mini-grid operators like Mera Gao and OMC Power have pioneered innovative models like 'Tower Power', but overall the market is still very nascent. In the meantime, high-profile investors like Solar City and Bloomberg Philanthropies have started investing money in fast-growing pay-as-you-go (PAYG) solar lanterns and solar home system companies. To better understand the current state of play for the burgeoning mini-grid market, we caught up with Fabio de Pascale and Gianluca Cescon, respectively 'Chief Energising Officer' and 'the Chief Operations One' at Devergy, a company at the cutting edge of mini-grid deployment in Tanzania. It turns out Devergy's entry into the mini-grid market started by posing a simple question: Do we need to follow the traditional approach and copy what utilities do to supply electricity? Given the abject failure of utilities to serve these off-grid, rural customers, it made little sense. Devergy realized that not paying attention to the customer's needs was a big part of why utilities and past mini-grid operators had failed, and the reverse may help Devergy become a success. The Devergy approach has one important value proposition highly attuned to the realities of these energy markets -- the ability to start small. Because most of these communities can only afford a few initial energy services -- usually mobile phone charging and lighting -- companies that oversize these services are making them unnecessarily expensive. While oversizing is commonplace for traditional mini-grids to compensate for technological or operational constraints, this rule of thumb can hold true for individual solar home systems as well. Ultimately, if there are even a few spare watts of unused energy capacity created by these oversized services, that's money that didn't need to be spent. By creating mini-grids that add solar panels modularly and balancing the energy demand across multiple users, Devergy solves this oversized problem by 'right sizing' their systems. That means Devergy builds systems based on actual demand instead of guesswork around what demand will be. This ultimately makes investments safer and power more affordable. But thinking about modular mini-grids is one thing. Building them is another. That's why the next step toward making this mini-grid approach a reality is pretty technical. In order to realistically bring mini-grids into the mainstream, companies need to switch from Alternating Current (AC) in favor of Direct Current (DC). Currently, most grids in the developed world rely on AC, but solar panels create DC power. In order to be compatible with traditional energy grids, this DC power needs to be converted, requiring costly equipment and electrical losses. But by switching the entire system to DC, it would save 20 percent of the system costs right off the bat because it eliminates the need for a costly inverter. Edison would be pleased. It just so happens that once you're working in a DC-powered world, something remarkable happens -- distributed solar generation (DG) makes a lot more sense. Devergy runs what can best be described as a networked mini-grid reliant on DG. By using the M2M technology, it is the "smartness" of the system that enables the mobile-money pay-as-you-go approach, which is fundamental to provide financially-sustainable energy services. The final interesting piece of Devergy's approach to clean energy access is its focus on energy services as a whole, not just kilowatts. Fabio and Gianluca explained that while many people love stereos and TVs, these products increase power demand tenfold. Luckily, DC-powered appliances are highly efficient and would enable people to have access to televisions and stereos without overloading the system. The problem is that people in developing countries can't find DC appliances in local markets, driving up the demand and harmony for a DC-based system from the energy services suppliers like Devergy. Thus, Devergy embeds these DC-based energy services in their business model and calls itself an energy services company, not a utility. The dream is to one day create universal standards between concurrent energy systems, like off-grid electric and M-Kopa, so appliances are interconnectable, and a standardized market is formed. But while large-scale dreams are still a ways off, Devergy is making progress. The company, which only started a few years ago, already has 800 customers and is looking to triple number that by the end of next year, mirroring the growth in solar lantern and solar home systems that investors are used to. 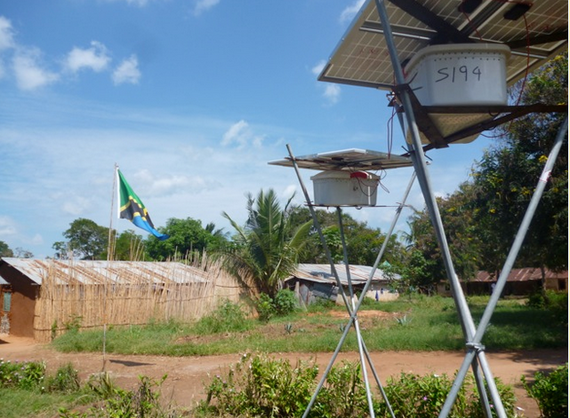 It's also why Fabio and Gianluca believe the market for mini-grids will soon start to grow rapidly. But even though investors believe 'mini-grids are game changing', they haven't put their money where their mouths are. Fabio and Gianluca explained that on more than one occasion, Devergy has been told by investors to 'come back when [the company is] profitable.' The underlying problem is the market can't expand if money is sitting on the sidelines. It's time for impact investors, multi-laterals like the World Bank, and foundations to step up and catalyze this mini-grid market. Because when it comes to mini-grid investment, the time is now.